At our parish, there is a gentleman who attends the vigil Mass every weekend. We see him and exchange pleasantries when we are also at the same Mass. In the summer, he sometimesÂ has a pick-up truck bed full of watermelons and cantaloupes. Last week we grabbed a few and really enjoyed them. This weekend we were the last to leave the church (there weren’t many people there because of the 4th of July) and he said to take as much as we wanted. 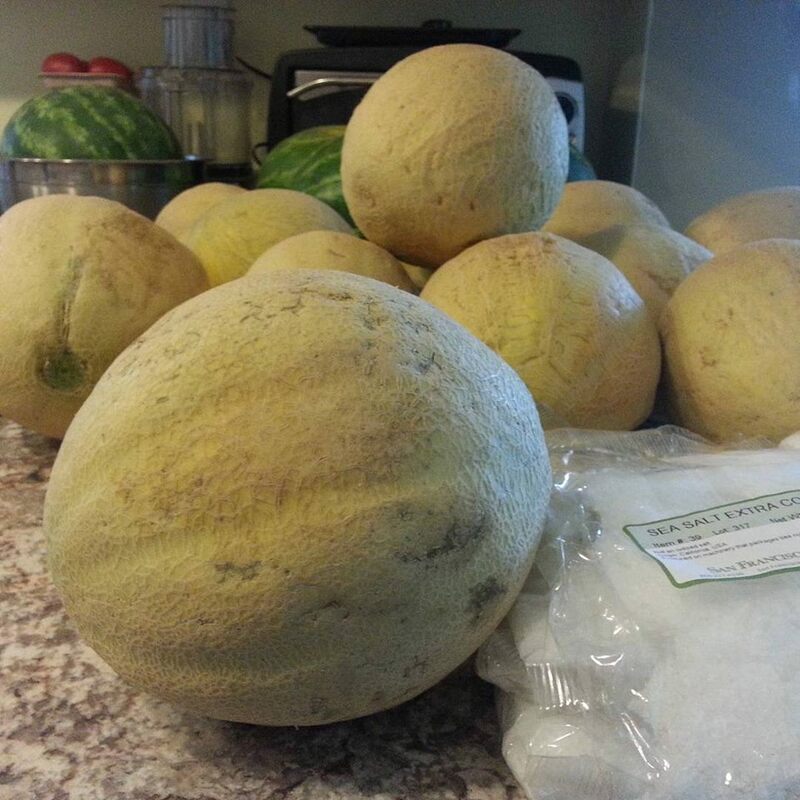 Thirteen cantaloupes and five watermelons later, we were on our way home. Just a note that we also have a part of a watermelon in the fridge and another whole one from last weekend. I’m thankful that we won’t have to buy fruit for a few weeks…and that cantaloupe freezes.